Gov. Cuomo took a personal midnight tour of the L train tunnel Thursday ahead of the big repair project looming for 2019. 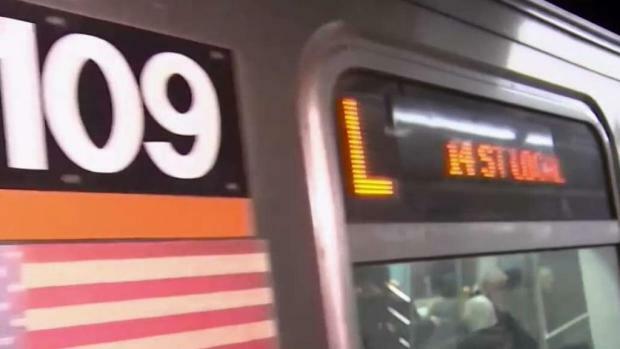 The 15-month L train shutdown -- which some have dubbed the L-pocalypse -- is set to begin in four months, affecting 225,000 people who use the subway line to commute between Manhattan and Brooklyn. 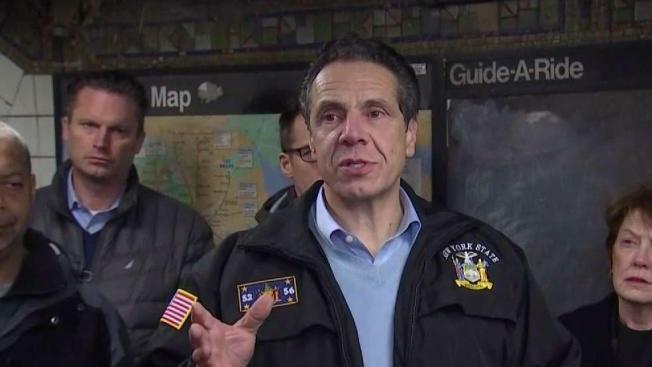 During his 90-minute visit to the Canarsie Tunnel, which connects the Lower East Side to Williamsburg, Cuomo met with engineering experts and toured the areas damaged during Hurricane Sandy. Seven million gallons of saltwater inundated the tube during Sandy, and the damage was never fixed. He ultimately concluded that the project cannot be changed, and the tunnel must indeed be shut down for the planned 15 months. Gov. Cuomo is set to take a personal midnight tour of the L train tunnel ahead of the big repair project looming for 2019. Michael George reports. "The tunnel is supposed to close in four months and I just want to be doubly sure that everything that can be done has been done, and when people come up to me on the street and say, did you check and make sure that everything can be done? I can look them in the eye and say yes," Cuomo said during a radio interview on 1010 WINS Friday. "We assembled literally the best people on the globe, the Dean of Cornell Engineering School, the Dean of Columbia Engineering School, they put together great teams," he continued. "They're a totally fresh set of eyes, they're looking at the plans, they're looking at the tunnel. And whatever they say, fine. If they say this is the best we can do, 15 months is the shortest period of time, I think that will give New Yorkers confidence." On Thursday, transit advocates and local officials seemed puzzled by Cuomo's last-minute tour, given that plans for the shutdown have been in the works for years. "He's trying to step in and be a savior. It's not clear why he's doing this," said transit watchdog Ben Kabak. "He's telling different stories. If he can say, 'We'll do this in a shorter period of time,' he'll come out as the guy who made this project better." "Every bit of visual is important," said Manhattan Borough President Gale Brewer. "I don't know what he's gonna find. We will see." 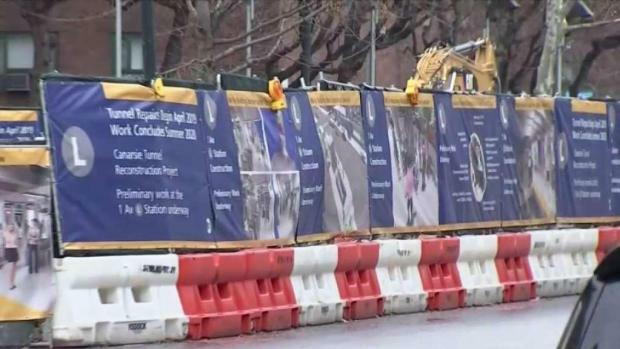 Cuomo has made himself highly visible at New York's biggest infrastructure projects. Last month, he toured the Hudson River Tunnel to call President Trumps' attention to the need for funding on the long-awaited Gateway Tunnel Project. And he's put his own personal imprint and family name on the bridge formerly known as Tappan Zee. Plans for the L train shutdown have been in the works for years, and now, overnight into Friday, Gov. Cuomo is planning to shut down the tunnel for a few hours to see it for himself. It's sparking questions of what the sudden tour means for commuters -- will the governor emerge with an engineering plan to shorten the length of the shutdown? Andrew Siff reports. With only months to go before the shutdown, subway riders were hoping the governor leaves with an understanding of what's at stake for them. "I live in the East Village, the L train is really all we've got over here," said one commuter named Laura. "He should see this as a huge commuter rail, and it's also a huge rail for people trying to go out to Brooklyn." "There should be a lot more transparency than there is already," said James Hearney of the East Village.